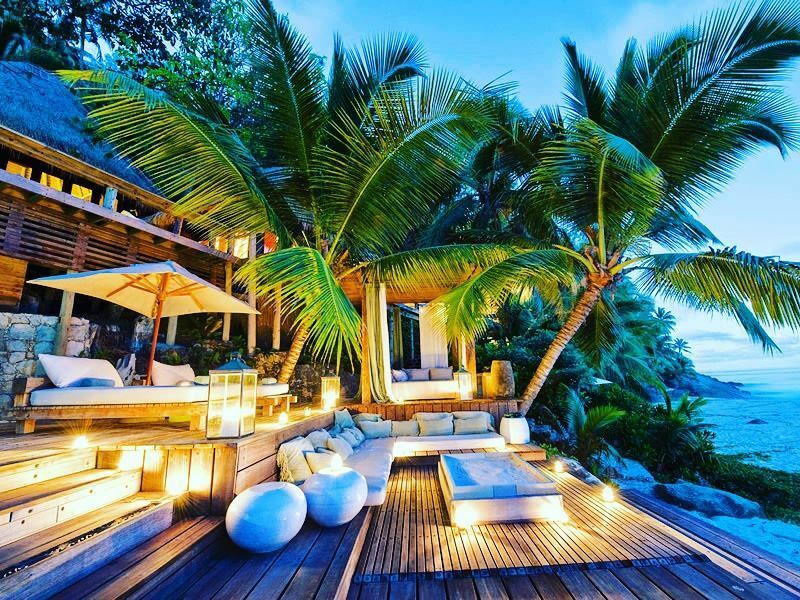 The Seychelles: an archipelago of 115 idyllic islands floating in the azure Indian Ocean. Picture white-sand beaches lined with coconut palms, lush jungles home to giant tortoises and warm waters teeming with colourful coral, rays and turtles. If you’re looking for the ultimate beach getaway, then a Seychelles holiday certainly fits the bill, but how do you choose which islands to visit? Find out in our island-hopping guide to the Seychelles. According to the Seychelles government, nearly 22,000 British nationals holiday in the country each year. 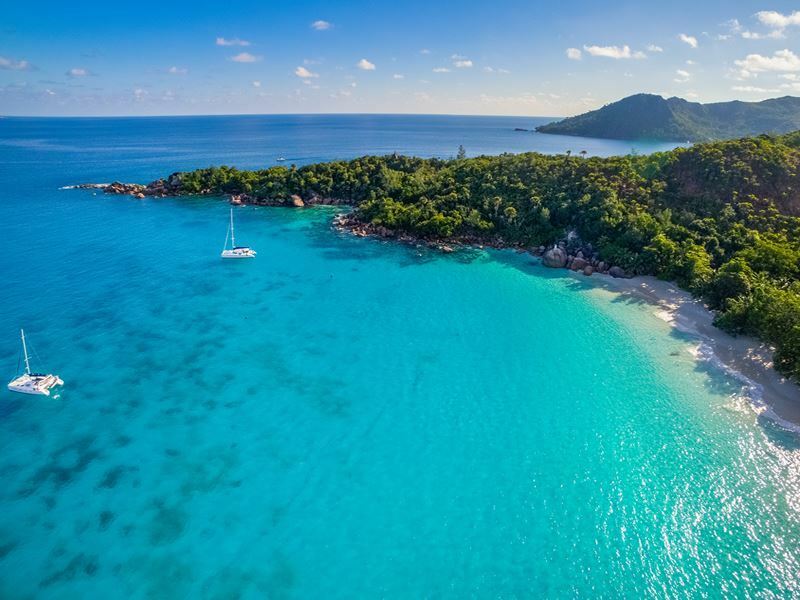 This growing popularity means that British Airways are running direct, 10-hour flights from London Heathrow to the Seychelles International Airport on Mahe. 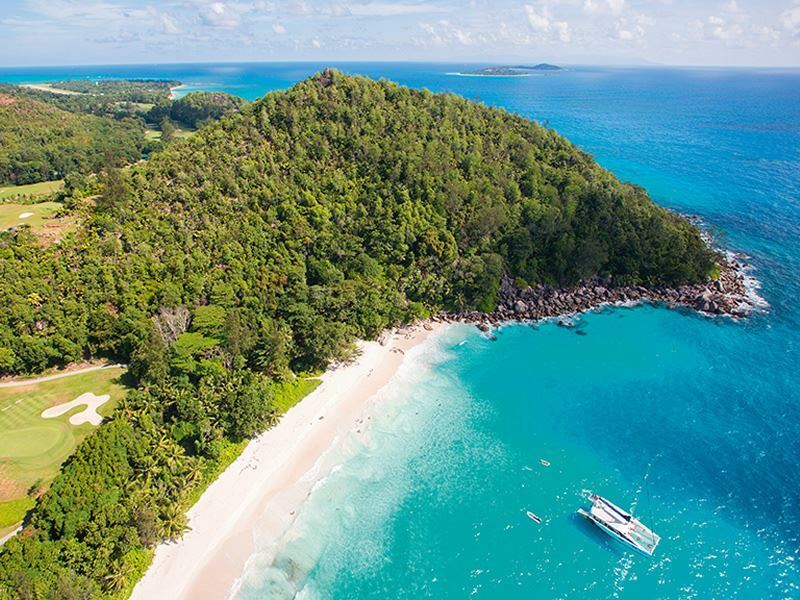 You can also fly to the Seychelles from major UK cities such as Birmingham, Edinburgh and Cardiff, these flights typically connect in Dubai. Airlines that run connecting flights from the UK to the Seychelles include Qantas, Emirates, Qatar and Etihad. The country enjoys a year-round tropical climate, so you can visit at any time, but the best months are between the trade winds in April, May, October and November. During these months, the water is warmest with great visibility for snorkelling and diving. The Seychelles is made up of 43 inner islands, 41 of which are granitic and two coralline, while the 72 outer islands are isolated and largely uninhabited, lying between 230 and 1,150 kilometres from Mahe. The touristic, economic and cultural hub of the Seychelles, along with most of its population, is centred around the three largest inner islands: Mahe, Praslin and La Digue. Known as: The largest island in the Seychelles. 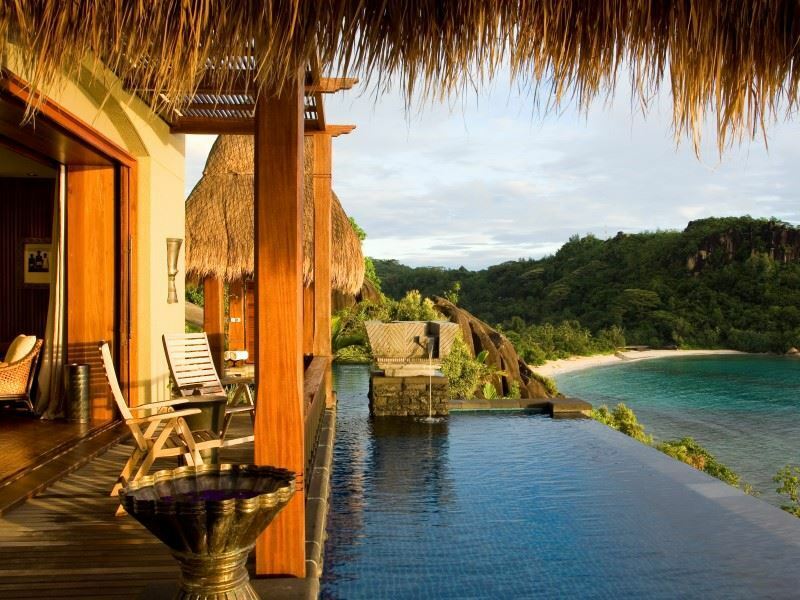 Recommended resorts: Maia Luxury Resort & Spa sits on the west coast of Mahe and has 30 secluded villas with plunge pools, butler service and ocean views. For hillside and beachfront villas overlooking the Indian Ocean, Banyan Tree in Intendance Bay is the ideal choice with pools, spa and fine dining. Mahe is the largest island in the Seychelles, home to 90 percent of the country’s population and the international airport. 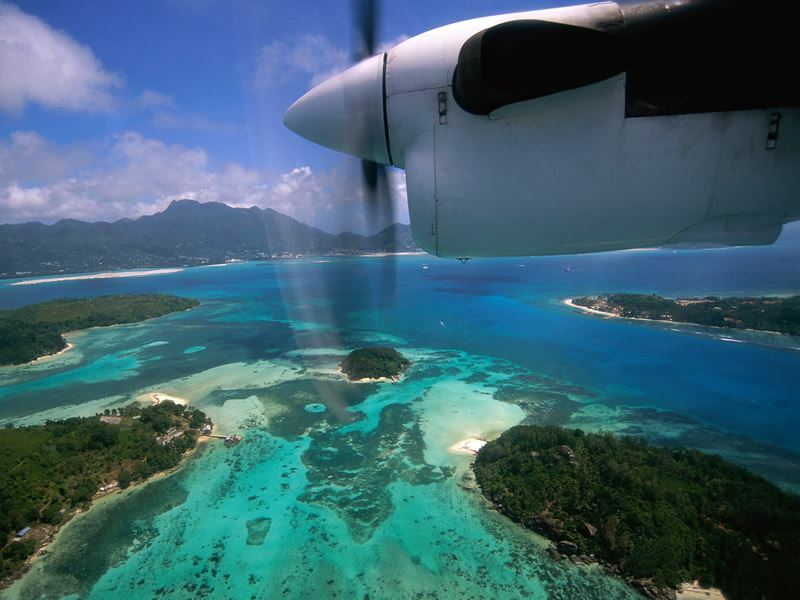 All holidays in the Seychelles begin in Mahe, where you can take connecting flights or boats to other islands. 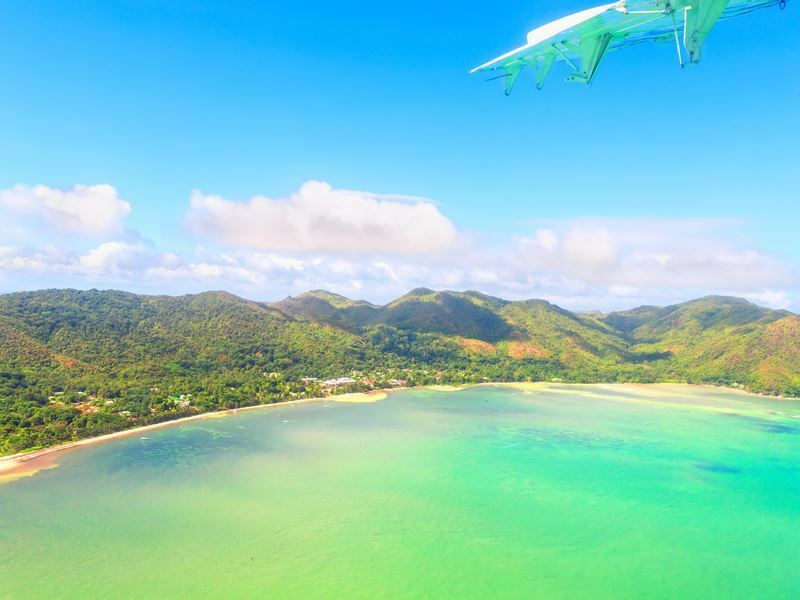 Mahe is also a holiday destination in itself, with 75 sandy beaches, lively resorts like Beau Vallon and the capital city Victoria, which is filled with creole history. Go rock climbing, hike in Morne Seychellois National Park and visit some nearby dive sights. Hop to: Cerf Island, which lies around four kilometres from Mahe’s ferry terminal in the Sainte Anne National Marine Park. Head there for a day of world-class snorkelling or diving, spotting over 150 species of fish, as well as octopus, starfish and sea turtles. 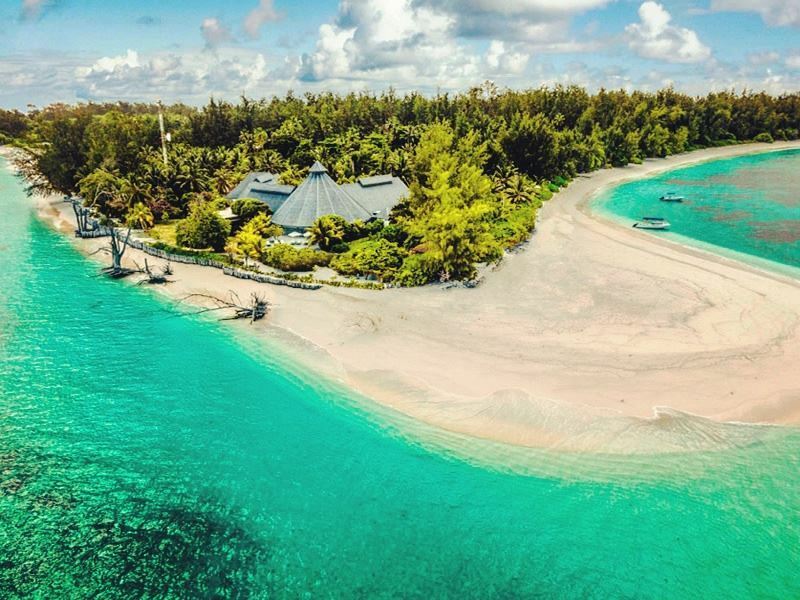 You can even stay overnight at the boutique Cerf Island Resort. Known for: Its UNESCO-listed Vallee de Mai Nature Reserve. Recommended resorts: Constance Lemuria lies just 15 metres from the sea and has villas made from natural materials with decks, as well as a pool, tennis courts, spa and 18-hole golf course. One of Praslin’s best resorts, Raffles, sits on the north-east coast and features plunge-pool villas by the water. Praslin has some of the Seychelles’ most picturesque beaches, with iconic white sands lapped by topaz waters and laced with granite boulders. Some of the most famous include Anse Georgette and Anse Lazio, which often appears on lists of the world’s best beaches. 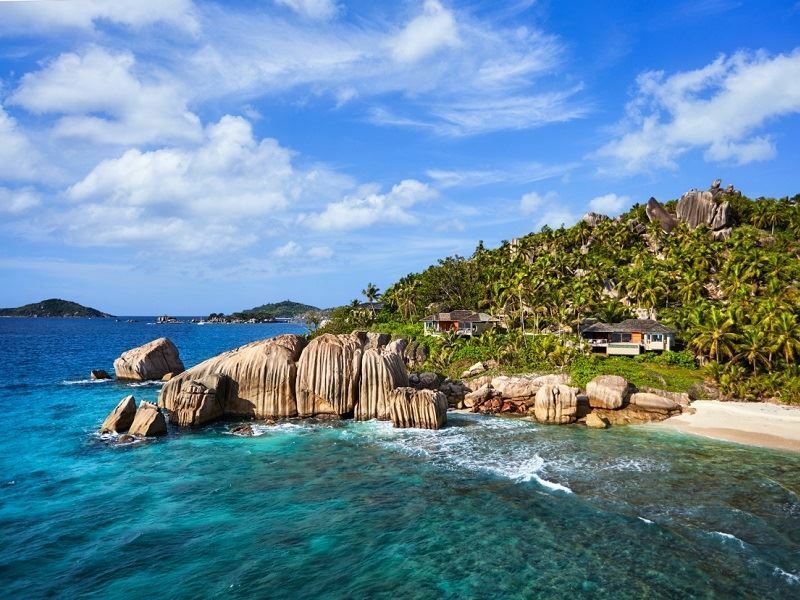 Praslin is best known for its National Park, which encompasses the Vallee de Mai Nature Reserve, a 45-acre UNESCO World Heritage Site home to rare Coco de Mer trees. These produce the largest seed and palm flowers in the world. Known for: Its sleepy vibe. Recommended resort: Le Domaine de L’Orangeraie is a boutique resort that lies on the north-west hillside of La Digue, offering incredible views over the sea. There are 63 villas, several restaurants and bars, a pool and bicycle hire, as well as the exquisite Eden Rock Wellness Centre and Spa. The third-largest island in the Seychelles, La Digue has one of the most-photographed beaches on the planet: Anse Source d’Argent. The beach lies on the west coast of the island and is lined with huge, distinctive granite boulders. There’s very little motorised transport on this sleepy island and most people get around by bicycle. Visit the Veuve Nature Reserve on La Digue, which is a key breeding ground for the Seychelles Paradise Flycatcher bird. 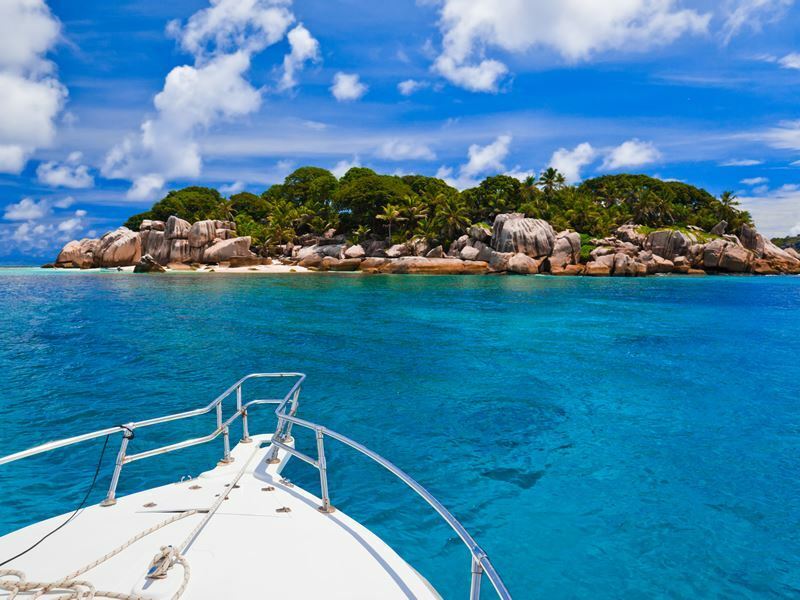 Hop to: Felicite Island, which is situated four kilometres from La Digue. The former coconut plantation is covered in thick vegetation and has mountainous terrain perfect for a day hike. Six Senses Resort Zil Pasyon covers a third of the island. Known for: Its Castaway atmosphere. Denis Island lies north of Mahe and is a favourite for honeymoon couples due to its distant, Castaway vibe. 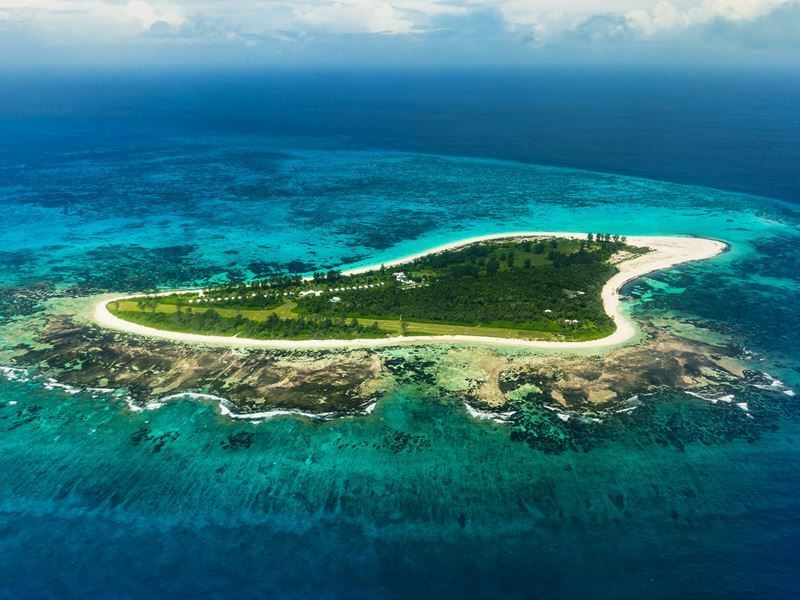 The coral island has trails through dense forest, a 100-year-old lighthouse, natural lagoons and some of the Seychelles’ top diving and snorkelling spots nearby. 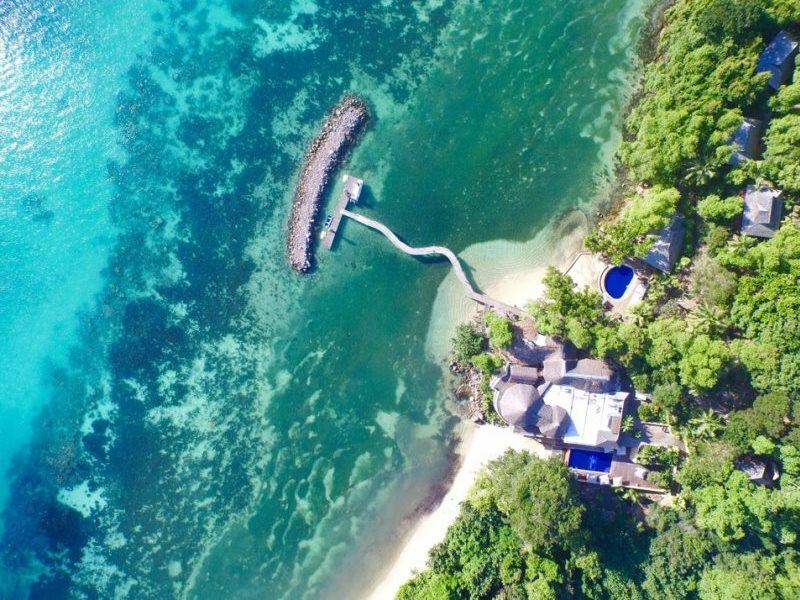 The only accommodation is Denis Private Island Resort, which has 25 cottages scattered along the beach, built from local materials that blend into nature. Relish sea-view verandas, in-room massages, a beach restaurant and free bikes to explore. Living up to its name, Bird Island is home to over 20 species of rare birds. These include Common Noddies and Fairy Terns who live in the island’s casuarina groves. Between May and October, around 700,000 pairs of Sooty Terns nest here on the northernmost island in the Seychelles. Bird Island is popular with Hawksbill and Green Turtles, as well as the world’s largest giant tortoise, Esmeralda, who weighs around 300 kilograms. Stay at Bird Island Lodge in one of 24 creole-style cottages with ocean-view verandas, open-air restaurant and water sports. Known as: A royal honeymoon destination. North Island was royal couple William and Kate’s honeymoon destination. This tiny slither of remote paradise is just two kilometres squared and only accessible by helicopter, offering ultimate privacy. Relax on deserted beaches under the shade of palm trees, enjoying silky pale sands and views of the island’s forested peaks. There are just 11 handcrafted villas on North Island nestled in the trees just steps from the ocean, all made from natural materials. The resort also has a sunset bar, spa, restaurants and diving and snorkelling services. Known as: A faraway outer island. 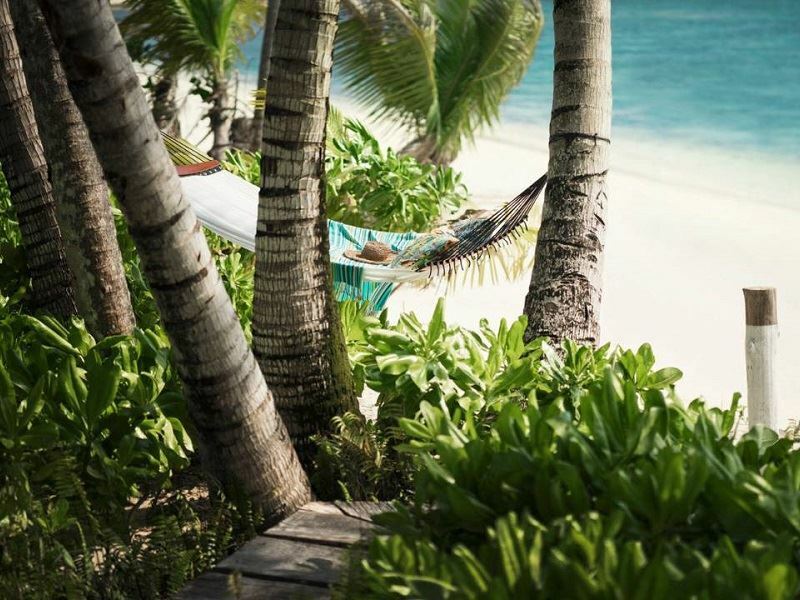 Desroches is one of the Amirante Islands, set around 230 kilometres from Mahe, and one of the only outer islands you can stay on in the Seychelles. If you’re looking for a true desert island experience, then this is it. Four Seasons Resort at Desroches Island provides 71 villas, suites, bungalows and residences with private pools and beach access. There’s also a spa, restaurants and bars and even a kids’ club. Spend your time chilling out, snorkelling and visit Desroches’ Tortoise Sanctuary to see the giant Aldabra tortoise. Known for: Its national marine park. Although not privately owned, Silhouette sits in its own marine park and over 90 percent of the island is protected. 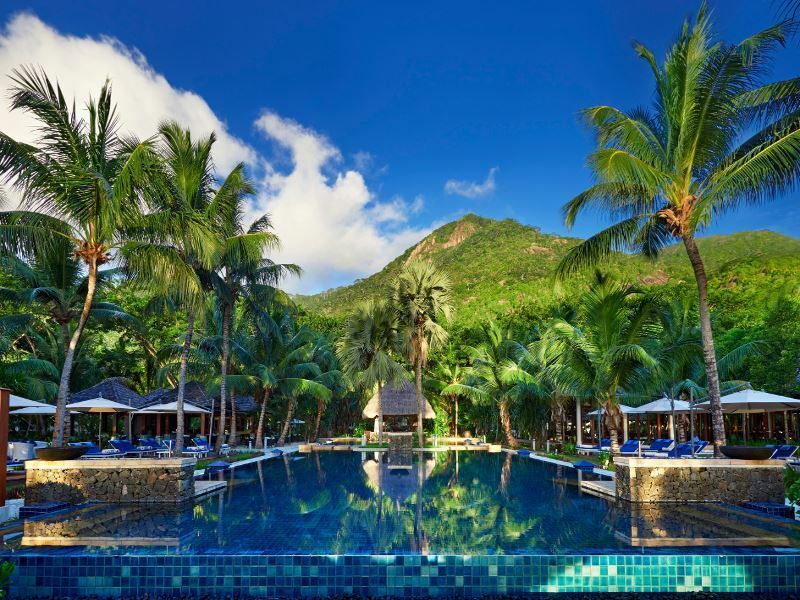 There’s just one hotel, the Hilton Seychelles Labriz Resort & Spa, which is set amongst jungle near the local village, La Passe. Visitors come to Silhouette for its pristine beaches and healthy coral reefs, as well as sheer granite underwater cliffs which make for exciting diving. The island has a mountainous interior filled with 500 metres of virgin rainforest ideal for hiking and there are spectacular views from the 751-metre peak of Mount Dauban. We also offer cruising and sailing options which allow you to see more of the country and can combine beach breaks in the Seychelles with trips to Northern Tanzania, Dubai or a Kenyan Safari. 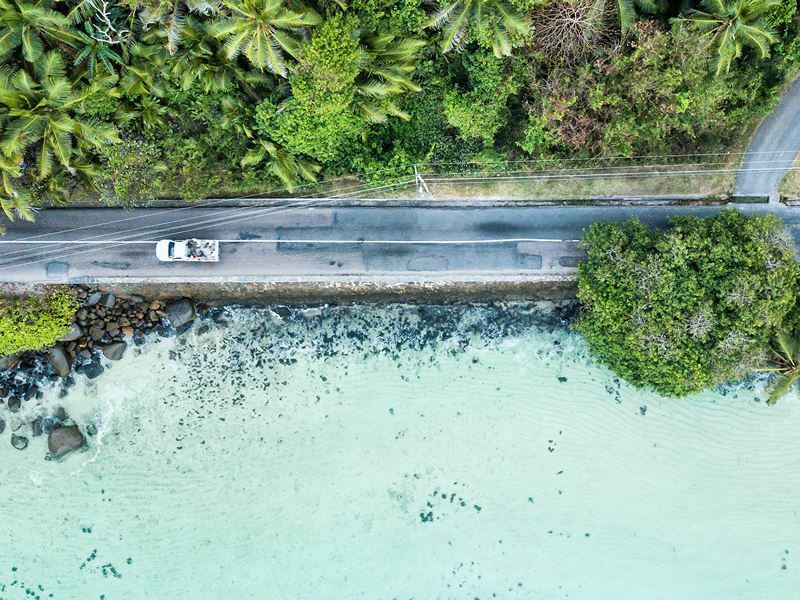 There are taxi and car hire services on many of the inner islands in the Seychelles, but prices may be high and roads can be windy and difficult to navigate. Most resorts will provide transfers around the islands for sightseeing and activities, it’s also fun to explore on foot or by bicycle. In fact, bikes are the main form of transport on La Digue. Look out for scooter hire if you’re confident about riding one, or take advantage of the cheap round-island bus services on Praslin and Mahe. 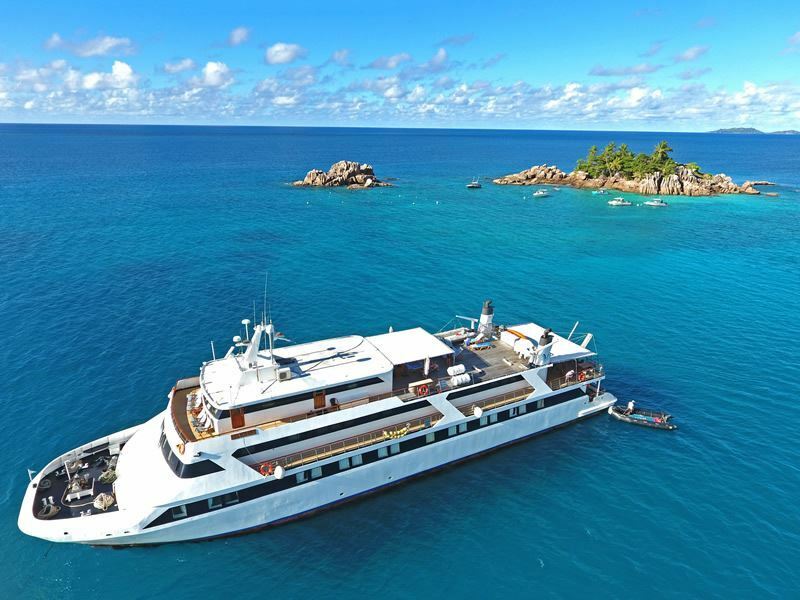 A cruise or sailing trip can be the most luxurious way to explore the Seychelles. Choose from chic yachts or modern catamarans with air-con en-suite cabins, sea views and large sundecks. Boats usually have snorkelling and diving equipment as well as sea kayaks and an experienced captain, steward and chef on board. Our Seychelles boat trips often include brief beach stays at either the AVANI Seychelles resort on Mahe or the Coco de Mer Hotel in Praslin. Set sail for between nine and 12 nights and choose from various itineraries, all starting from Mahe. Most routes go through the stunning Sainte Anne Marine Park, stopping for snorkel, beach and swimming breaks at Coco Island, La Digue, Cousin, Saint Pierre and Praslin. Other stops on your itinerary may include Silhouette, Grand Soeur, Curieuse and Felicite islands. You’ll have the chance to take cycling and trekking excursions, spot wildlife and enjoy cooking classes and spa treatments at your beach resort stops.